Special shout-out to my über-talented friend Nicole for this portrait. She did an amazing animated version on Vine too. 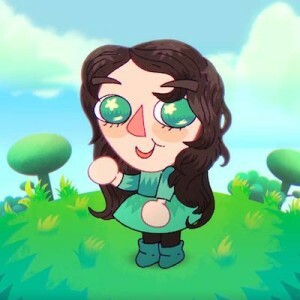 I adore her style, which typically converges at the corner of “squishy” and “gross.” But she was able to merge her style with the over-the-top cute look of Animal Crossing (a game I’ve played embarrassingly much lately) and make this awesome portrait of me. Now I just have to work on becoming this über-cute in real life.